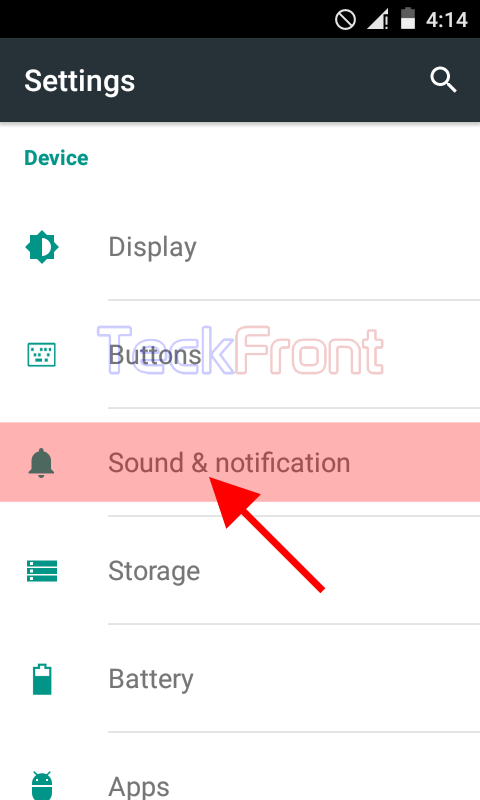 How to Set No Interruptions but Allow Alarms in Android 5.1 Lollipop Devices? 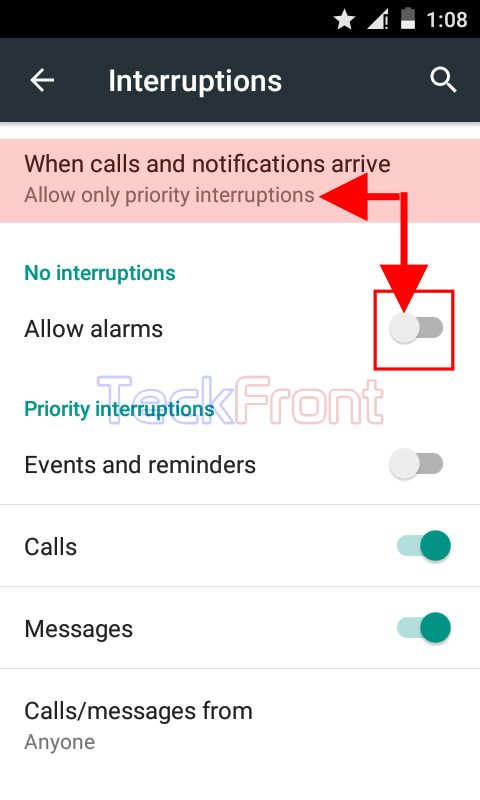 Keeping the importance of the alarms in view, Android has given alarm an extra ordinary exception to the interruptions. 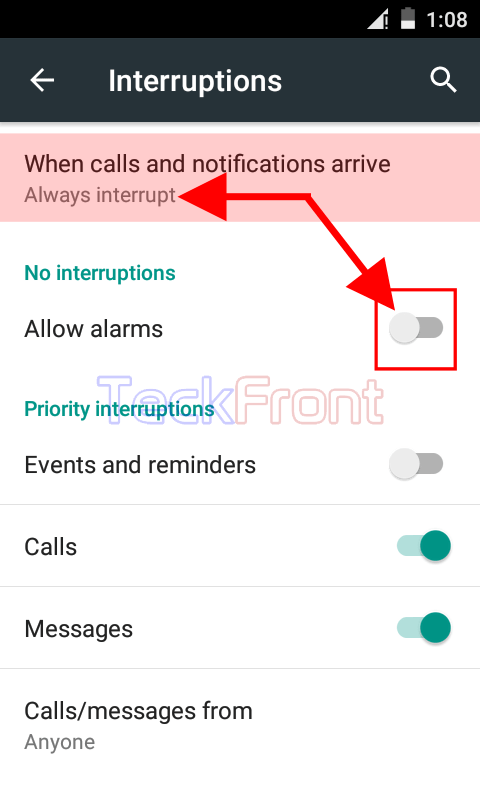 Whether you have selected no interruption or always interruptions status, you may select alarms to ignore your interruptions control. You may enable / activate alarm to interrupt but if you need help in this regard, see the instructions. Here, you may select any status of interruption, as desired or required. 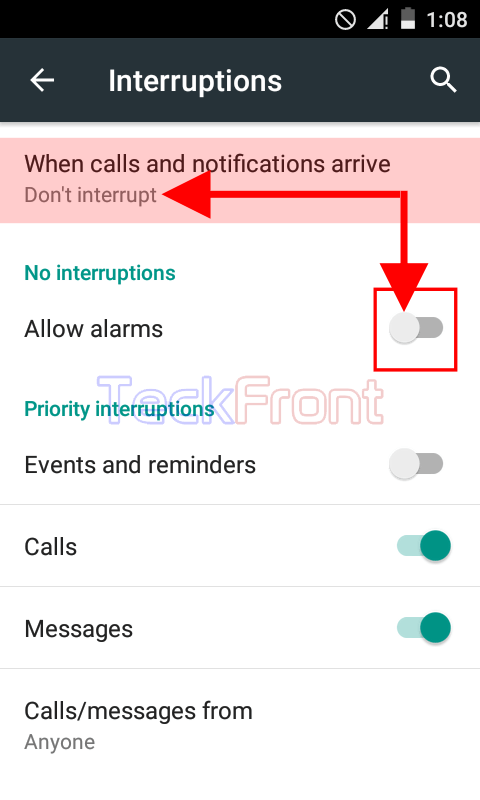 Try all 3 options of interruptions in the popup but see the status of alarm, placed below the ‘No interruptions’ section, will not be changed. It means activation of alarms is kept independent of interruptions or not interruptions status. If you want to confirm the effect of interruption on alarms, try all 3 interruption options and see their effect on status ‘Always alarms’. The status of ‘Always alarms’ has been kept independent of other interruption statuses. 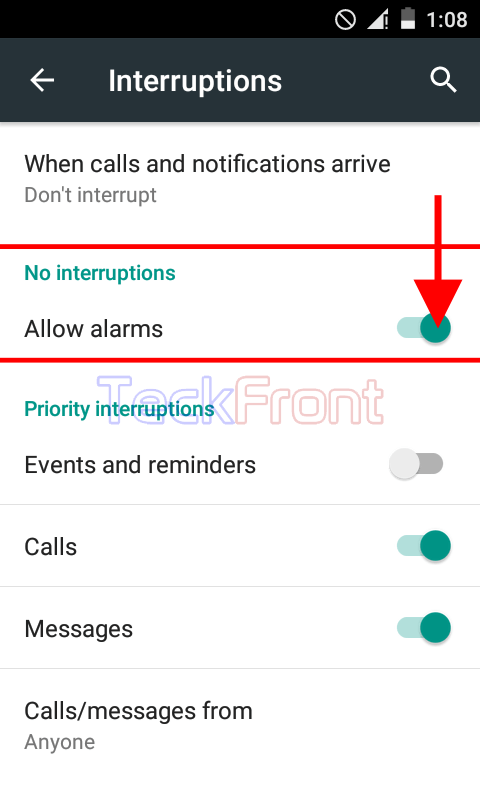 6: See, currently, ‘Allow alarms’ is disabled, indicated by its grey color. 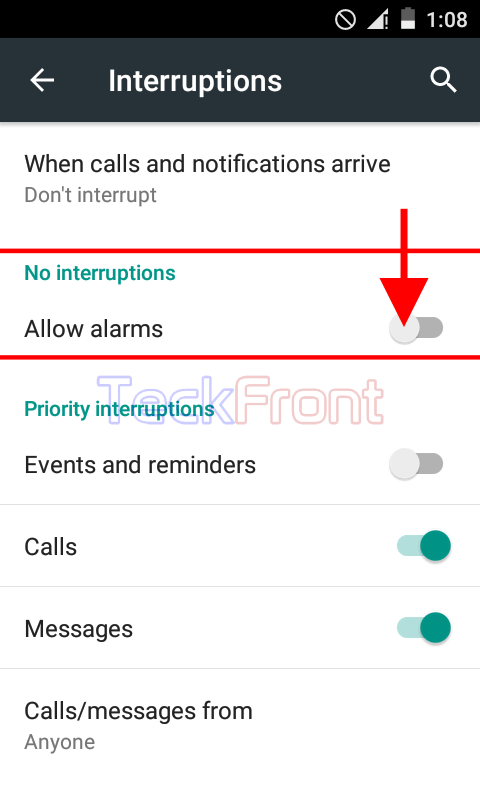 7: If you want to allow interruption of alarms in the calls or other ongoing activities of your Android 5.1 Lollipop device, tap the ‘Allow alarms’ or drag the switch to left to change its status to ‘On’. 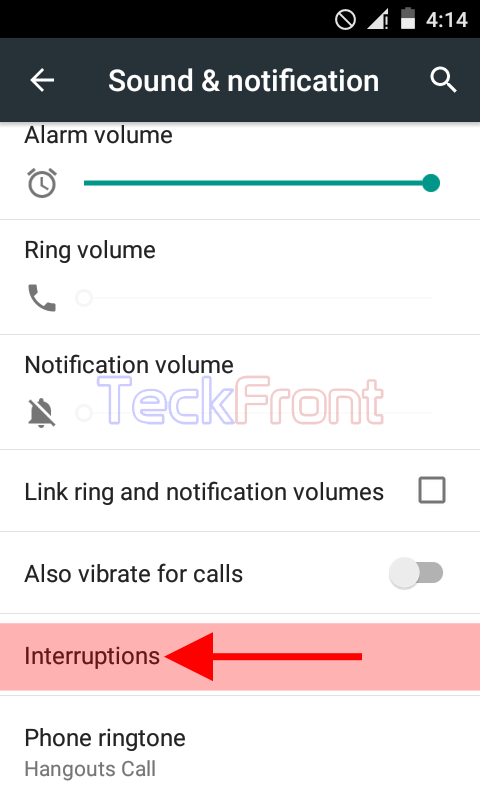 From now onward, alarms will always interrupt the calls and other activities of Android 5.1 Lollipop device till it is disabled. 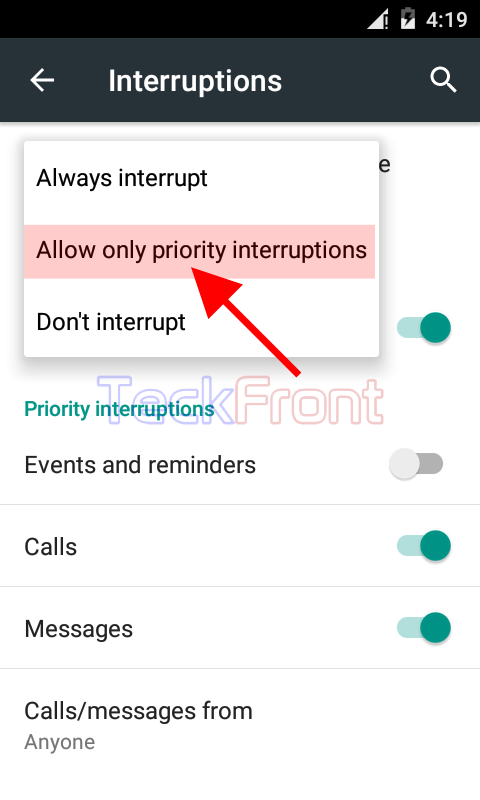 Newer How to Select & Activate Priority Interruptions in Android 5.1 Lollipop? 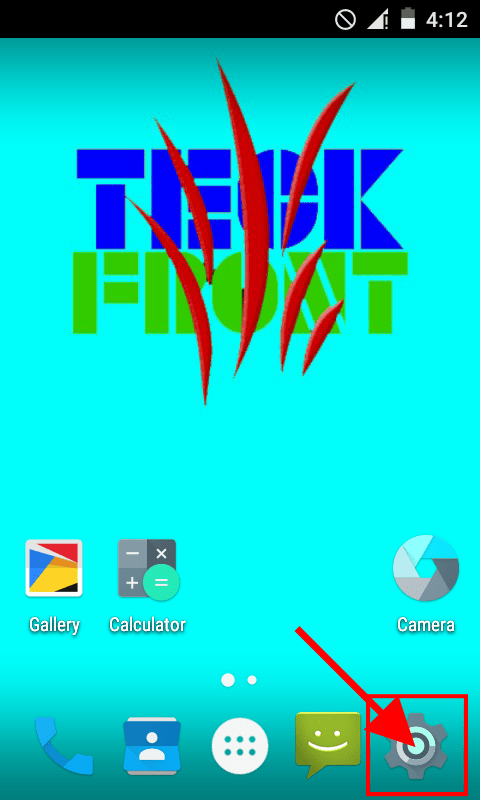 Older How to Allow Only Priority Interruptions in Android 5.1 Lollipop?